Montgomery County Treasurer Jason Salus joined an estimated 50,000 participants across the country on October 3rd participating in National Manufacturing Day 2014. Since its inception in 2012, this nationwide event has grown exponentially. Nearly 1,600 manufacturers opened their doors to provide tours of their facilities and offer presentations about American manufacturing. 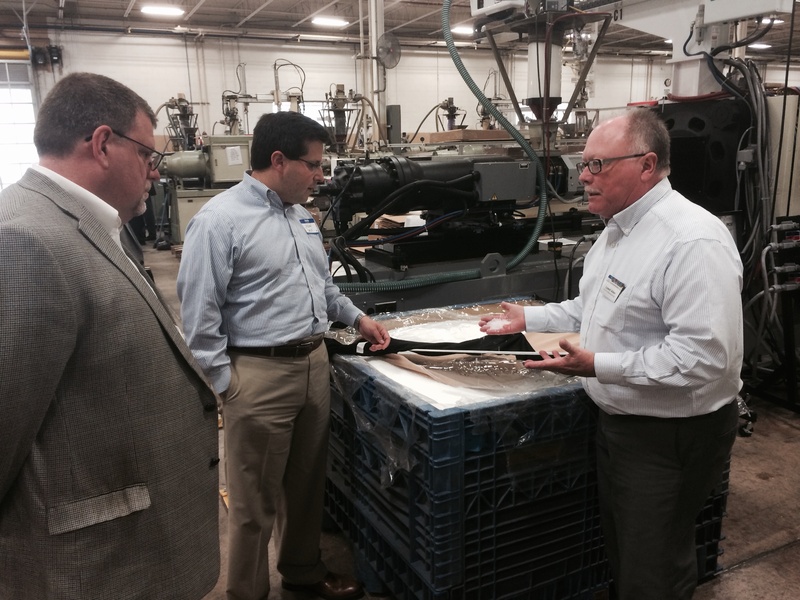 Salus, along with members of his staff, visited Montgomery County manufacturer The Rodon Group. This third-generation family business is housed at an impressive 125,000 square foot facility located in Hatfield, PA and specializes in producing high volumes of injection molded small plastic parts, including billions of parts each year for the K’NEX toy brand. Salus also highlighted the reshoring trend of creating domestic manufacturing jobs and noted that Araten, along with President and CEO of the Reshoring Initiative Harry Moser, will be participating in the first “Montco Made” economic development conference for Montgomery County manufacturers hosted by the Montgomery County Industrial Development Authority (IDA). As a member of the IDA’s Board of Directors, Salus is helping organize the conference, which will highlight financing incentives for Montgomery County manufacturers. “I look forward to continuing this important conversation with a larger group of manufacturers and nationally-recognized leaders in reshoring as part of our ‘Montco Made’ conference next month. Working together we can create good, family-sustaining jobs and grow Montgomery County’s economy.” said Salus.